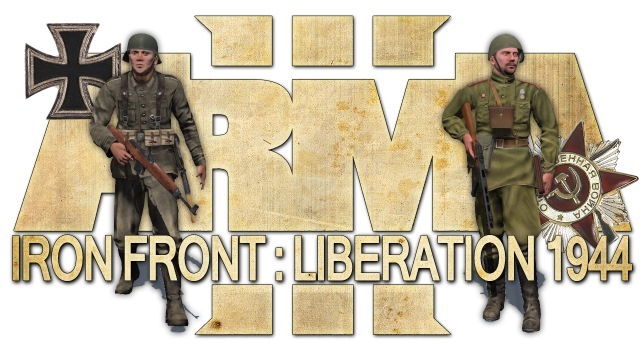 Iron Front as mod in Arma 2 and 3 - Welcome to the Iron Front Fan Forums! IFR team, Kju, and associated members of the Iron Front Revival projects would like to announce our release. What are the projects released? So what is it that will allow me to play Iron front as a mod in Arma2CO or Arma3? Kju the creator of these projects has setup a process called the conversion. The Conversion is where you are "converting" Iron front's IFA files to a pbo file or extension format, the pbo format can be read by Arma2Co and Arma3. Basically when you convert your Iron front it will create a folder titled @IF, yes it will be in the form of a mod which will allow you to play Iron Front in both Arma2CO and Arma3, the Arma3 version of the conversion is a bit more complex then the Arma2CO version. So in order to convert my Iron front game to a mod for Arma2CO or Arma3 what do I do? what is used? One of IFR team members (DeadTomGC) created a simple yet amazing tool that "converts" once run your Iron front into an @IF folder. The tool locates your Iron front directory, and your Arma2 directory and then goes through the process, and converts your files for Iron front from IFA to pbo, placing a @IF folder in your Arma2 directory. and reformatted into a pbo so that it can be read and run in Arma2CO. Is this legal? Do you have permissions from Deepsilver to do this? to be made public to the Iron front community. What are the requirements to convert my Iron front to Arma2Co or Arma3? 1. You must own a legitimate copy of Iron front Liberation 1944. 2. For the arma2Co version, you must own Arma2 plus OA. 3. For the Arma3 version, you must own Iron front,and Arma3. the Arma3 version if you have Arma3. The download is a guide to setting up the tool and the conversion process. either the Arma2CO version, or the Arma3 version. Note: You may not redistribute the mod version. Otherwise you might face legal action by the publisher! About the game: What is Iron Front? It is a tactical shooter video game set in World War II Eastern Front built by AWAR - a group of former OFP and Arma modders. It was released mid last year as a standalone game using the Real Virtuality 3 engine also powering Arma 2: Operation Arrowhead. To learn more about the game and it's features visit the official wiki. Our check out our Iron Front: Liberation 1944 - Youtube video channel. What is Iron Front in Arma? Click the image to visit the gallery. Images by Fabio Chavez and Lennard. If you get client or server crashes, please submit all required files to BI at the Arma 3 feedback tracker. Thanks to tierprot the German and Soviet units support the A3 clothing system. The US units and other retextures are still to come - assistance welcome. Thanks to Shvetz the weapons support the new A3 muzzle flashes, weapon effects and other new features. Thanks to Fabio Chavez the terrains shine in the new A3 lighting and more to come. Thanks to Fudge working planes with physX tech. We need support to bring the large number of cars, trucks and tanks to physX tech (more here and here). Please PM me if interested to help out. 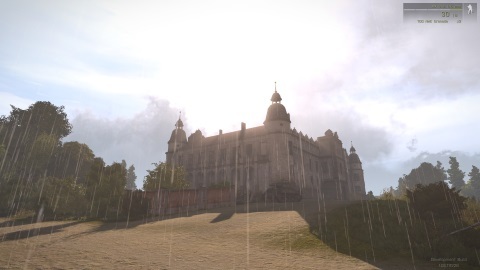 We will support and continue to improve the Arma 2 and Arma 3 version. We also want to achieve as good compatibility as feasible with other mods - ie. Invasion 1944. Well done, congrats, and thank you all! The conversion worked so far for me. Got my own Staszov mission including my custom scripts to run. One error message about missing some DLC contents pop up. That's a surprise because I didn't used related contents in that mission. Seems I have to disable the DLC inside the options. Then I wanted to download and patch my DLC but I couldn't / can't download the DLC patch. Are there any other locations for that download available? and support for the individuals involved in testing. The first post has been updated, it has questions and answers, and a different layout, I hope this will help you guys better understand how this all works. As for your questions BS, For the error message please post the actual message you are getting. As for the patch idk what the issue is, the link seems busy, I cannot get through the link either, the link will take you to the patch thread on BIS forums that Kju created. As far as i know we dont have another place to download the patch, i will get back to you here or Kju will with info on an update for this. Is the New issue section for both Arma 2 and Arma III? Wont that be confusing? Sorry I am still not clear. I have Iron Front as a stand alone game. I do not have Arma3. I do not have Combined Operations. Can I install the 1.06 patch? Would it not better to give such feedbacks here inside this forum? New thread? No need to make a new account over there (how?) then. I know, just my personal thoughts, but my feeling is, that this all drives a little away from the -Iron Front Fans Forum- if you handle it as you wrote above. Any chance for us to stay here at -Iron Front Fans Forum- with our feedback? just use the thread here for now, as Kju is away fro a couple of day I believe I will let you guys know or Kju will, or one of the members of the testing group could inform us. No, the patch is for the Iron front Arma conversion, the conversion is what it says "Iron front Arma"
with Iron front, but play Iron front with all the community mods, scripts, ect,. for Arma2CO. on the Iron front Arma2Co conversion to be done and released, and now it is. Well this thread is for info and feedback, but the dev heaven where you report issues is for any errors, or problems your getting with the game, like the game is crashing, or your getting odd textures, or the AI are acting funny ect,. Up to you, but i agree with you i think we should report here, but keep in mind that the tracker will be better for error or problem issues because Kju and team can fix them, here he will need to review posts and waste alot of time getting a specific answer so its best to just give feedback here and ask questions. Just to say, that I have all the above 3 projects working successfully, by following the setup processes in the Dev Heaven page. The only step I do not use in this setup guide, is the one recommending the use of a batch file. I use PWS, to launch the both the A3 version with Allin Arma and the A2CO version. Using the preset options in PWS for both A2 or A3 seems to work well. In addition, I am using successfully, the @ACE mod, JSRS1.5, ASRAI, DAPMAN AI medical system and blastcore visual effects, all with my IFL:44 for Arma 2:CO and this seems to work very well to date. IMHO, and at this stage of the development of the project, I am more happy to use the IFL:44 for Arma 2:CO rather than the A3 version, as it would seem to have less bugs. In addition, I am able to use the additional features of IFL:44 for Arma 2:CO, like the ability to hitch and tow static guns, different death animations, weapon resting for MGs, penetration effects on tanks armor, unique destruction effects on vehicles etc, which do not seem to appear active in the IFL:44 for Arma 3. I want to thank all involved with the development of the these 3 projects and sharing with us. I look foward to maybe seeing more of these above IFL:44 unique features appearing in the A3 version as the project develops. Yes of course, the thread is ready and has been ready built since the summer, but the mod requires the IF/Arma conversion, thats why i never released it. We have other then my personal mod for the IF community all the work IFR has done in the past 6 months to release too, again also the IF/Arma conversion is required as that is what we built them for. But right now I have all the files, just need to check all the files, and do a test and then upload, I plan on releasing IFR's work maybe sunday idk or maybe during the week, depends on what I can get done this weekend, as I want to build a release page for all the mods and files, thing is my MR currently does not have the space to host them, so i may use my dropbox account for a temporary host. are ok with no problems then we want to release. thats good news to read. so that could be a better step to take as you have done. Ok, better not to hurry too much, we can wait. Anyway, thanks to the team for putting this out. I'm sure I speak for everyone when I say this has happened much faster than any of us expected given the commercial issues floating around! Really hope that this mod kick-starts IF sales, and makes everyone realise that open, modable content actually makes more money in the long run. Again, thanks for the good work! Hi shamb your welcome, thank Kju and his group and IFR team for making this all possible. I'm actualy myself reinstalling and resetting up my Iron front and dlc, just to start a fresh, as I have an old version of the v 1.06 patch applied to the vanilla which at the time we were able to patch our games, but now the patch is for the conversion only. Anyways once I get my end setup I am planning on creating a detailed tutorial on how to setup the arma2Co conversion, and the Arma3 version, I want to get everything working on my end before I do this. The purpose of the tutorial is to provide an alternative perspective on the same setup guide kju had put together, as I have noticed on BIS forums threads for our releases a few people had some difficulty understanding and getting things to work for them. and get Iron front some things it could use. of Iron front is now limitless and open to new possibilities!! over this headache we all went through, so now its up to us to make the best of what we have, and change Iron front to our liking! But as result, i have only the folder E:\_Games\ARMA_&_Co\ArmA 2\@IF\addons. There is nothing inside. It had workef with the first version, but jetzt nothing. What is wrong in my manipulations ? For example BS was working on a sensational Wespe, how's it coming along BS? By the way, I used to make aircraft mods with Flight Sim Toolkit years ago so I know how to handle polygons and stuff, but the procedure for IF modding is totally different and I need a tutorial about how to do it, so if anybody knows where there is one, let me know. We retired guys have got all the time in the world so I could then churn out new IF units like a production line and take requests for what people want next, eg Elefant, Sturmtiger, Maultier, Sherman Calliope etc and maybe even have a crack at creating flamethrowers..